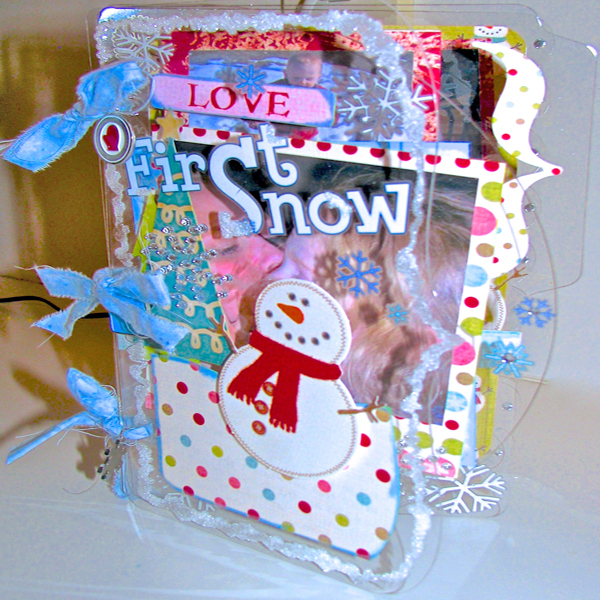 Project Description: Craft plastic is a great medium to work with when you’re creating winter layouts. Add some glitter along the edges to give it a frosty feel! I used a die cutting machine to cut the plastic pages into fun shapes. You could also trace a shape and use scissors to cut them out. Punch holes along one side for binding. Tear the fabric into small strips, and then thread the fabric through the holes and knot to bind the pages together. When making a clear album, it’s important to think ahead. When looking at the cover, you want a bit of each page to shine through. You may find it’s easiest to start with the back cover and work your way to the front. In general, the last page will be the most heavily embellished, or covered, and the front page will have the least. For additional dimension, place an embellishment face-down on the back of a page (see the blue tree on the cover of the album). It will give the illusion of depth when viewed from the front. 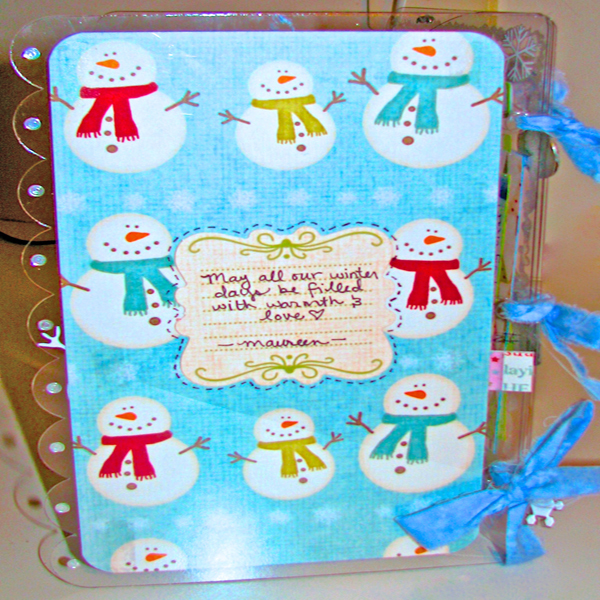 Rub a blue ink pad along the edge of paper embellishments for a chilly feel. 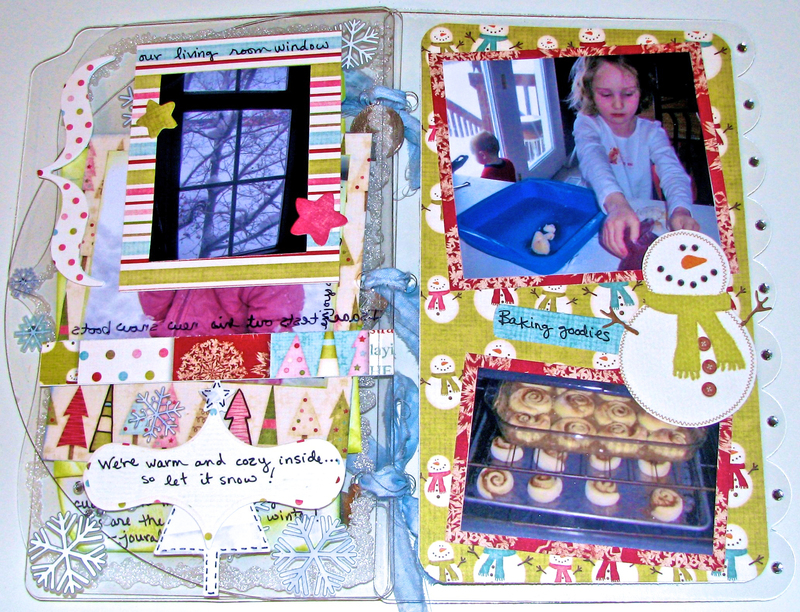 Add a little glue and glitter along the edges of the album to make the craft plastic look like ice!